There is a tendency to think that the cost of oil is, by and large, a Middle East thing. When investors playing the stock market are chewing their nails over their dividends, and futures traders are in a flurry of buying and selling, the oft sited source of the volatility is the latest news out of the Persian Gulf. When thinking about oil prices, China is often misunderstood in the equation. Oh, sure, plenty of people are aware of the impact China has as an importer of oil. China has a voracious appetite for oil. China imported 6.3 million barrels of oil a day in March, second only to the U.S. in volume on the world market. This was a six percent drop from February, a difference that had a significant impact on investors and futures traders everywhere. That much is obvious. Let’s set aside long term considerations. 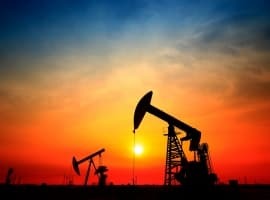 Even though it is estimated that the South China Sea is sitting on top of 28 billion barrels of oil, it will be a while before those reserves start producing in bulk. Instead, we need to focus on the short term, and in fact, day to day impact China can have on oil prices via the South China Sea right away. Earlier this month the ASEAN nations sent China a stinging rebuke over creating a situation that does exactly that. 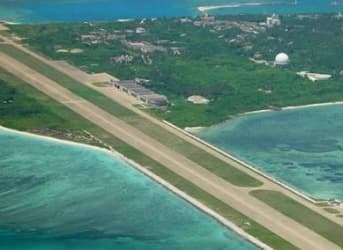 China’s construction of artificial islands in the South China Sea are seen by everyone (but China, officially) as nothing short of a land grab intended to give China near-exclusive control over the resources, including shipping lanes, of the entire region. China has, of course, denied any such thing. These actions being called out by ASEAN come in spite of the principle of Freedom of the Seas and International Maritime Trade law. This has significant implications for oil prices. If an incident relating to Chinese ambitions in the South China Sea results in further confrontation in the open waters, it could escalate within hours into harassment or even seizure of tankers as they transit through the area. 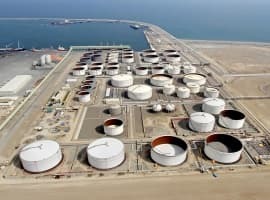 At 10 million barrels a day entering the region through the Malacca Strait alone, costing $59 US a barrel at the time of writing, that means China has a $590 million dollar hostage it could potentially mess with at any given moment if it feels its interests in the South China Sea are threatened. And that means that oil futures are tied intimately in with China and the future of the South China Sea. This is ridiculous. The ULCC and the VLCC tankers cannot use the Malacca straits already, as the Malacca straits is too shallow. They use the Lombok Strait. It only adds three and a half days to the voyage. At any point of time there may 3 to 5 billion $ of Oil in the South China Sea. This is chump change for the oil market. The day China plays fast and loose with a foreign tanker in South China Sea, its oil flow stops, and the rest of the region still has its oil. How could it be a menace ?